Christmas is beginning to arrive and it’s almost time to start decorating. Don’t let anyone tell you November is too early! Turn your office space into a winter haven that makes you happy and calm during the manic month of Christmas, with our Christmas tree decorating service. 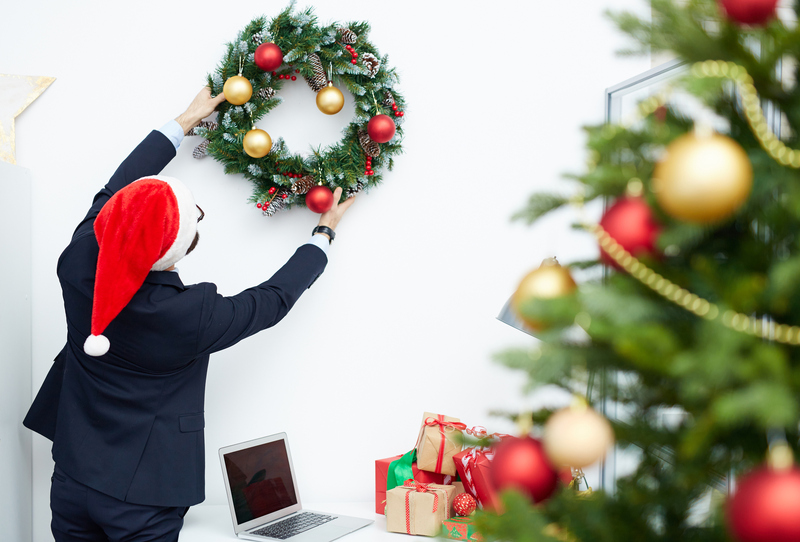 Here are some great ideas for adding a little Christmas spirit to your office space. Some staff offices like to add a little Christmas tree to the room to lift up spirits, but if you want to add something to your desk too, then why not purchase some simple fairy lights in Christmas colours such as green and red, or even buy some Christmas ornaments to place on your desk? They are cheap and cheerful and it’s guaranteed to lift your mood. It’s also infectious to anyone who visits your office space too! When decorating with plants or flowers, you should always make sure that you choose the correct types of flowers and colours. For example, stick to traditional festive colours such as green, red and white. Some popular Christmas plants are Poinsettias or opt for a fresh bouquet of deep red roses along with smaller white flowers accompanied by stunning dark green foliage – it’s the perfect Christmas combination! If you really want to add further elements of Christmas, why not include some artificial (or real) mistletoe or ivy? Some people really love Christmas, but when an office space is shared, it’s important to realise that there are others who may be distracted by trails of tinsel or bright lights, so decorate your space according to its size. A desk-top Christmas tree is a little more subtle than a flashing dancing Santa. A great way to add subtle Christmas elements to your office space is via candles in Christmas scents. Try cinnamon, apple and mulled wine – it will help make the whole office space smell amazing! 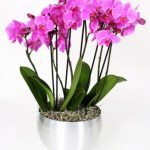 If you’re interested in flowers and plants for your office space, then why not check out our range of office flowers today? Contact us for more information.